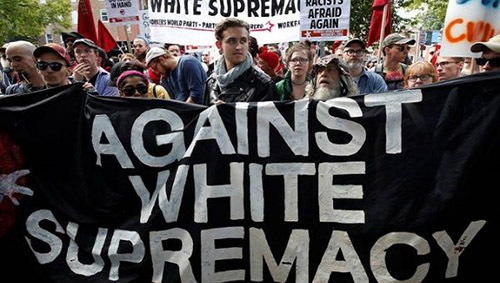 In the wake of recent events, many payment companies are eager to validate that they are not, directly or indirectly, facilitating dangerous hate groups engaged in illegal activities. Others may seek to distance their brands from hate speech, however legal. The latest risk, which can be termed hate group laundering, involves extremist groups not in an acquirer portfolio processing payments or fundraising through innocuous-seeming front sites. There is no governmental watch list like OFAC, and private attempts at watch lists have accidentally ensnared religious and health groups. The organizations themselves hide their identities with innocent sounding names. The best method around this is to find the hateful content itself. But this can be obstructed by transaction laundering. The front site was an e-commerce retailer selling goods promoting the second amendment. It sold clothes, hats, patches, pins and other accessories. Some products were historical, quoting Thomas Jefferson, while some were comical, such as “Don’t Steal. Government Hates Competition.” It advertised it accepted all major payment brands. The website terms took a stand against offensive content. It forbade subject matter that was “illegal, obscene, threatening, defamatory, invasive of privacy, infringing of intellectual property rights, objectionable or otherwise injurious to any party.” It warned that it tracked and logged IP addresses of visitors to protect against fraud. The second amendment site deserved a second look. G2 discovered a concealed business that was driving the bulk of its sales — covertly. The site sold a variety of expressive products like hats, bandanas and t-shirts. The merchandise categories were full of inventory: over 230 books, 26 hats, as well as well-stocked flags, posters and patches. It also sold military collectibles, knives and daggers. The proceeds of this hateful transaction laundering scheme funded a movement that denies membership to certain ethnic, religious and cultural groups. G2’s client considered such messages unacceptable and brand damaging. G2 worked with our client to terminate the front site and cut off the hate group laundering in its portfolio. When the movement changed names and attempted to gain payments access from another acquirer, G2 caught it again. G2 will continue to search for further attempts from this operation and others that raise money through content that violates clients’ acceptable use policies. Want to read more case studies like this one? Download our most recent collection of transaction laundering case studies here.